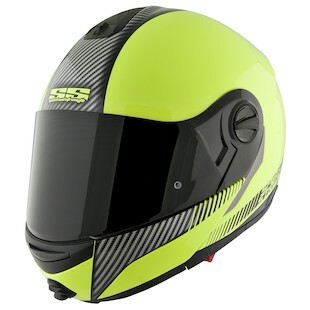 Speed and Strength SS1700 Lock and Load HV Modular helmet is a rugged design with advanced thermo-poly alloy shell. The modular flip faceshield, All Clear Sight System which is optically correct, anti-scratch, anti-fog and UV resistant has a rapid conversion shield replacement system. Also available in black and silver.